PopSugar and Old Navy are hosting ten days of terrific Holiday giveaways where you can enter once for the chance to win a $500 gift card to Old Navy! 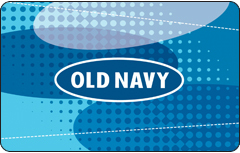 Prize(s): Each confirmed winner will receive a $500 Old Navy Gift Card (the "Prize"). Approximate Retail Value ("ARV"): Five Hundred ($500) USD.